California State University, Chico, popularly known as “Chico State”, was established in 1887 and is the second oldest University in the 23-campus California State University system. Students enrollment is 16,000, including hundreds of international students representing more than 55 countries. In U. S. News and World Report's annual "America's Best Colleges," CSU, Chico regularly ranks high among master's-level public universities in the western United States. CSU, Chico maintains high academic standards and has one of the highest graduation rates in the California State University system. 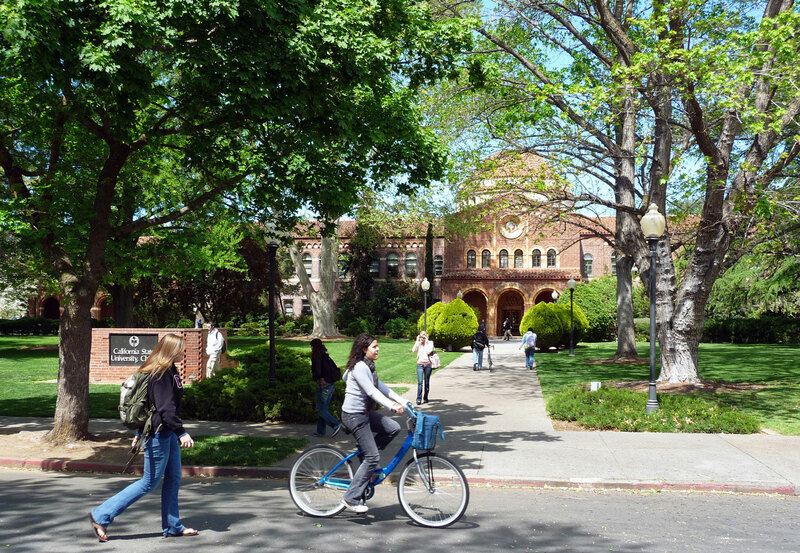 Chico State offers an inviting and safe educational environment in a small, college town setting. Visit the Chico State website  and discover why the CSU is internationally recognized for its excellent academic programs and scholarly achievements. CSU, Chico offers over 100 undergraduate degree programs including business administration, computer engineering, teacher training, and public administration. CSU, Chico offers more than 25 graduate degree programs including business administration, computer science and political science. Conditional Admission to the University  is designed for undergraduate students who have not yet met the University's English proficiency requirement. International students may apply for undergraduate or graduate admission to CSU, Chico through the Office of International Education . You must submit proof of English Language proficiency and financial resources when applying to the university. For more information visit the International Admission website .